Your question is one that is not unique in condominium buildings. The documents these individuals provided may tell the tale, but there is more to the story..Read on. Reader Question: We bought a condo unit in a mid-rise development on the west coast. We had the unit inspected, and the inspector turned up several repair issues. They fixed the repairs correctly. We closed on the unit and moved in. Within a couple of months, we learned that the eight-story structure has a serious foundation issue, but the inspector did not inspect the entire building, only the purchased unit. The cost of repairing the building is significant, and it will impact all the unit owners financially. We are wondering if we have any recourse with the inspector, the seller, and the real estate agent. Monty’s Answer: There is a significant amount of ground to cover that is absent from your question. Even if the entire chain of events leading up to today was known, this is a question for you to pose to an attorney. Each state has different approaches to real estate law and the theories that shape legislation and administrative rules. What I may be able to help with are some background observations to consider as you go about working through this situation. The structure of a condominium has other components besides the space you own. Common areas and limited common areas are built into the structure to accommodate one of the primary goals of condominium theory, scale. These shared areas provide access, walkways and rest areas, space for various equipment and more. 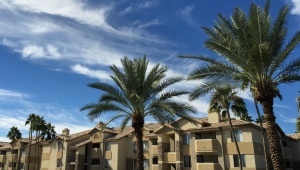 The common areas and the responsibilities that accompany them, such as insurance, maintenance, and safety, are controlled and managed by the homeowners association (HOA) of the project. As such, unit owners are only responsible for their unit. The HOA is in charge of the common space, including the outer structure. The fact you are not liable is why home inspectors do not inspect common areas past the interior of the unit. Build the timeline of events and include documentation to support it. Include the Seller Condition Report, the purchase agreement, the inspection report, and other pertinent documents of the transaction. This exercise helps you organize your thoughts and assembles a cohesive package to present to interested parties to save time. Work to contain this document to a one-page overview to stay on track. There was no mention in your question about the possibility of liability on the part of the HOA. Also, many HOA’s particularly in larger projects, retain management companies to direct the day-to-day business of the HOA. While is is possible that any of the parties you are looking to for redress have erred, it is as likely the HOA or the management company, or both may have prior knowledge of the foundation issue. Contention between unit owners and the HOA or management companies is quite common. With 350,000 HOA’s in the country and the number of questions Dear Monty receives regarding HOA’s and unit owners, litigation is likely common. If you reach the stage where legal advice is required, it is my understanding that there are attorneys that specialize in condominium law. As you learn more about the problem, consider joining with other unit owners for additional information, sharing the workload, and spreading financial risk. This Dear Monty answer is provided with the sponsorship of InspectorPro Insurance. If you would like to see your question answered here, please email us at DearMonty@inspectorproinsurance.com! Don’t forget to sign up for the newsletter to get answers as they are published. Please be advised Monty selects the one question that will serve the majority of home inspectors.